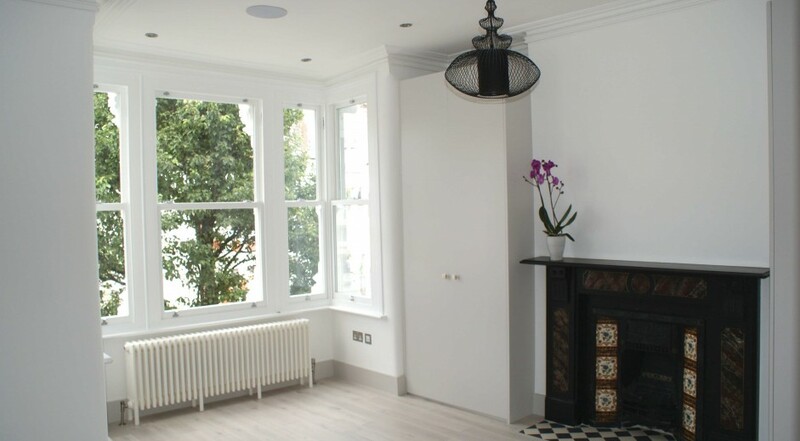 A full house refurbishment and basement to a large Victorian house in Stoke Newington, North London has been completed by forresterarchitects. 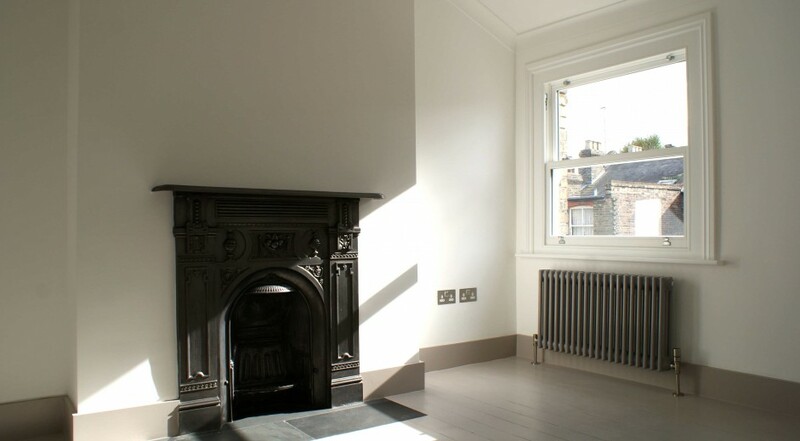 The client had not refurbished the house since its purchase ten years previous. During this period it had suffered from years of student occupation and was tired. The upper floors were bowed and there were signs of subsidence. The house had never been decorated and only one bathroom served a four-bedroom house. 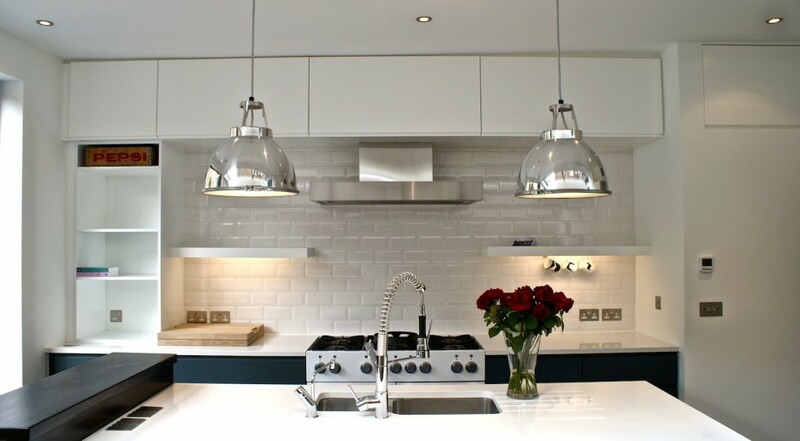 Key to the client’s requirements was a provide a large equipped kitchen to cater for and entertain their friends. Located to the rear of the house the original kitchen wasn’t big enough and suffered from a lack of daylight. The rear garden is small but it is West facing and well positioned for bright sunlit afternoons. 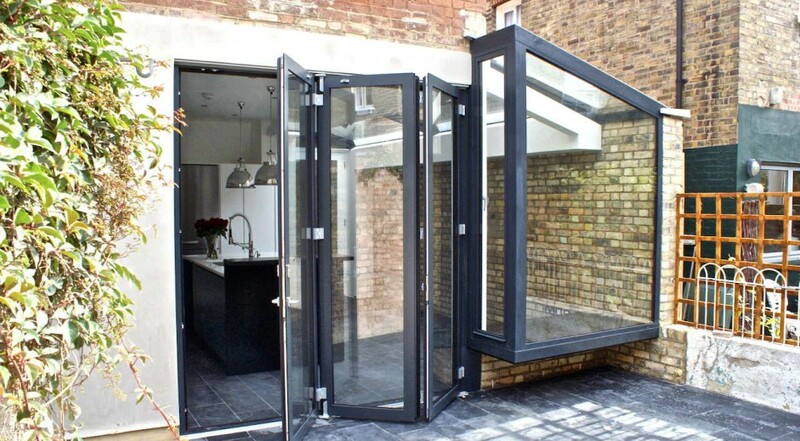 The proposed rear extension was configured as a full width glazed extension to maximise on space and light. 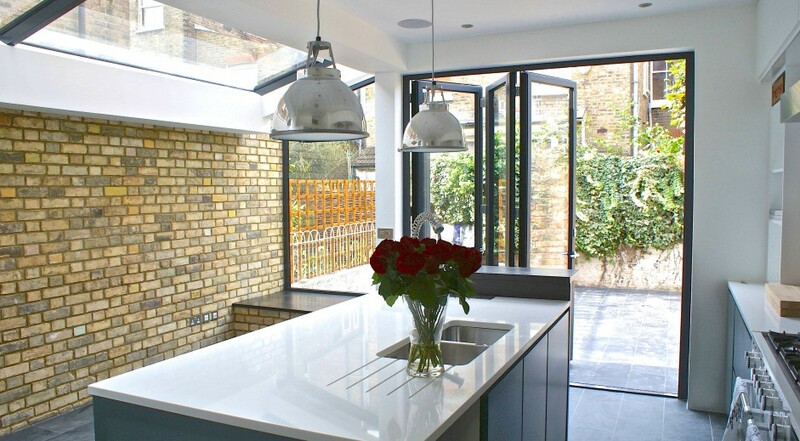 A frameless glazed roof-light was added to the full length of the new side extension and terminates at the garden with a projecting window seat. The window seat is a key design feature. 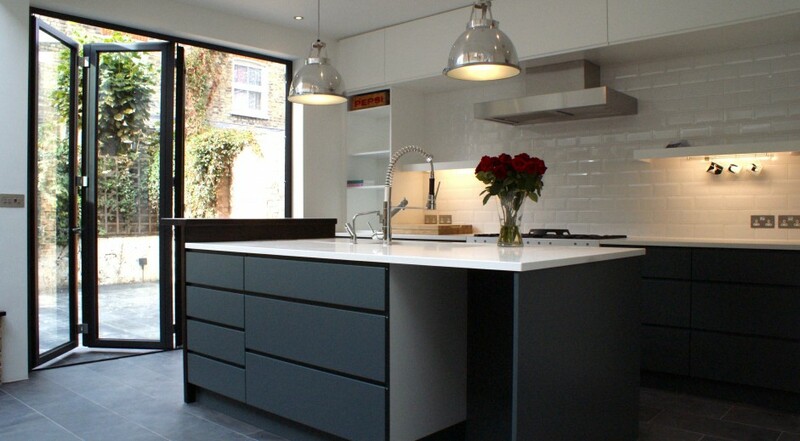 It forms a focal point within the kitchen and avoid a mundane design solution typical to many side and rear extensions. 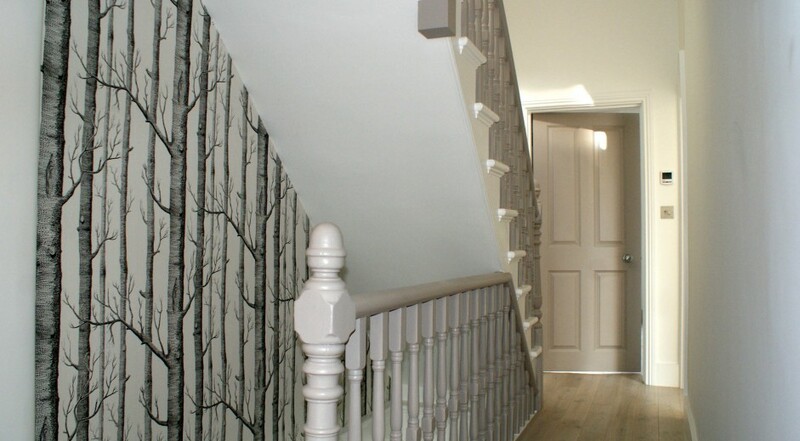 Subtle alterations have been made to remove a few irritations that the client has endured over the years. On entering into the house, the reception wall has been cutback to remove a tight pinch-point where the stair meets the rear lounge space. The front and rear lounge has been reconfigured as an open plan arrangement. The removal of the supporting separating wall between the front and rear lounge rooms. Essential to the brief the kitchen remains separated from the main body of the house. With large glazed pivot doors it allows the sunlight to enter the middle of the house and avoids cooking aromas filtering up through the house. The room layout of each floorto the house configuration remains as the original layout. 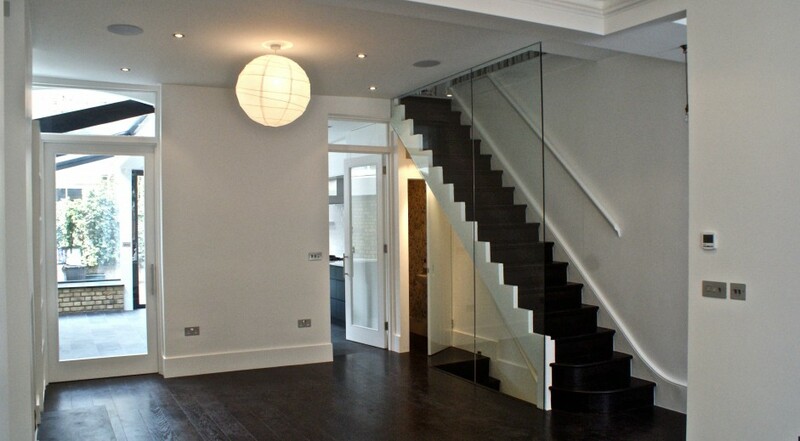 The existing stairwell balustrade has been replaced with a full height frameless glass wall. To the upper floors each bedroom has been provided with dedicated bespoke wardrobe and storage solutions. A new study-room has been added and the existing master bathroom has been refurbished. The top floor is meant for guests and a new guest shower-room has been added. By locating the new shower-room on the top floor landing it avoided compromising valuable bedroom floor space. This often under utilised space provides a simple design solution for sanitary provision right at the top of the house. There was an opportunity to provide a low-engineered basement solution. Many basement floor conversions need costly underpinning. A simple low-engineered structural solution was developed by forresterarchitects. Several basement configurations were costed to determine the most appropriate use of space. The client confirmed the need for a partial basement floor conversion as the most cost effective solution. The new basement provided 75% of the full floor plate achieved on the ground floor with a respectable floor to ceiling height of 2.4m. The new basement provided a dedicated storage and utility space. As is typical with this house types there is never enough adequate storage provision. A simple monochromatic palette has been adopted throughout the house. The palette provides the most suitable neutral backdrop for the client’s extensive art collection. A full architectural services was provided by forresterarchitects. Or here for another refurbishment.